The following picture books possess special qualities in their ability to address difficult topics, but in most sensitive and inspiring ways. From the team at publishing company, Empowering Resources, here are three valuable resources that can literally change the lives of many dealing with tough life circumstances. The courageous and talented Naomi Hunter, founder of Empowering Resources has brilliantly delivered these touching tales to the world. 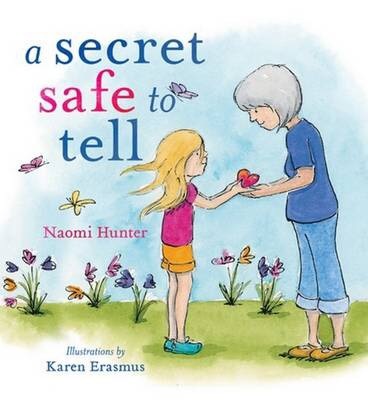 Her first authored book, A Secret Safe to Tell, explores the delicate issue of childhood sexual abuse, based on a troubling time from her past. 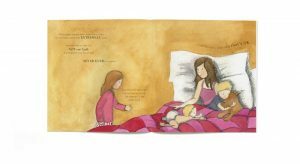 With beautifully gentle illustrations by Karen Erasmus, this book is one of comfort and encouragement in feeling safe enough to trust in seeking help. Unsurprisingly shortlisted in the 2015 Australian Book Industry Awards, A Secret Safe to Tell has brought about a revolution of support for this initiative and has helped many around the world share their stories and lift their heavy burdens in order to heal. It has also already been, and will continue to be a fabulous, ’empowering resource’ for early years educators and parents to teach their children about body safety, appropriate interactions with older people in their lives, and that it is ok to tell. Read more in my interview with Naomi Hunter. 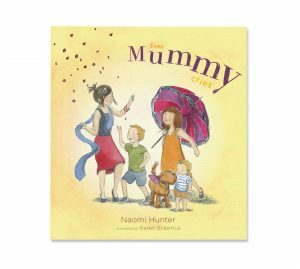 Naomi‘s most recently published book, Even Mummy Cries, explores the emotional rollercoaster that often accompanies families on their journey that is life. Whatever the type of struggles being faced, it is perfectly normal, and healthy even, to have an outlet for the internal battles we are dealing with. 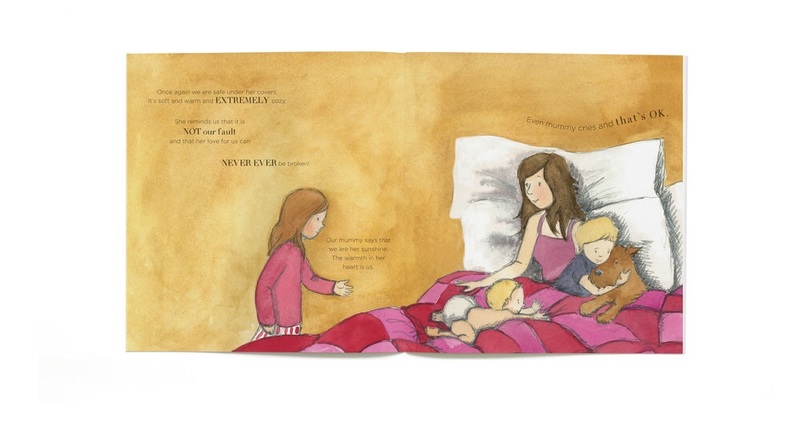 For this heart-rending and reassuring story, the soft watercolour and pencil illustrations by Karen Erasmus are suitably gentle, visually captivating and highly impactful. At the very heart of this book is the security for its readers; Mums, you are not alone. Kids, well, you just do what you do and your mummies love and treasure you no matter what! With beautiful sentiments, Even Mummy Cries is another important book for primary school aged children to understand some of life’s complexities without feeling guilt, and the power for parents to be able to share their pressures in sensitive ways without feeling shame. Read more about Naomi Hunter’s inspiration for this story here. You’re Different, Jemima! explores self-expression, individuality and self-assurance. 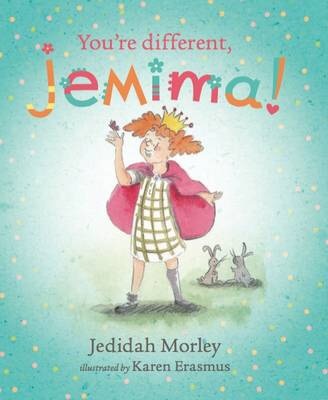 Written with gusto, just like the nature of our main character, Jedidah Morley sends a positive and nurturing message that standing ‘loud and proud’, and just being yourself is more than ok. I particularly like the colour variations that Karen Erasmus uses to highlight the scenes of imagination and personality as opposed to the overall sense of uniformity. Jemima’s teacher, Mrs Smith and the other students degrade her for ‘colourful’ and unique ways of expressing herself. It is her eccentric-looking duck picture that has everyone, including Jemima, questioning her sense of belonging. But when Mrs Chuckles takes over teaching the next day, Jemimah’s self doubt is put to rest and her ‘differences’ are celebrated. You’re Different, Jemima! is a refreshing story for preschoolers that allows and encourages individual personalities to shine as bold and bright as they can be. The Empowering Resources website with all their current and upcoming books can be found here.